Cohen Quad, Exeter’s new site on Walton Street designed by Alison Brooks Architects, has won the Higher Education and Research Completed Building of the Year Award at the World Architecture Festival. The Festival is one of the most prestigious annual award ceremonies in architecture, recognising the world’s best future and completed designs across 31 categories including higher education, culture, health, community, religion, and sport. 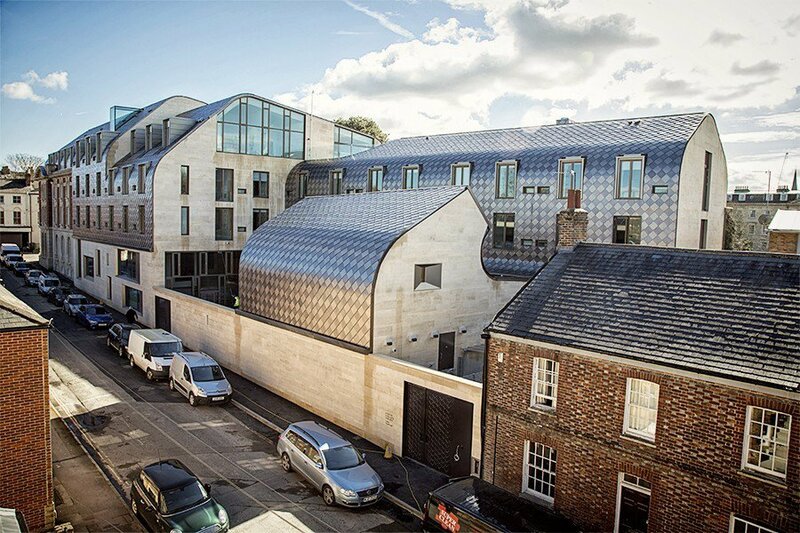 Cohen Quad was also shortlisted for the World Architecture Festival’s World Building of the Year Award. That award was ultimately presented to WOHA Architects for Kampung Admiralty in Singapore, a dynamic community development for elderly people that includes a tropical rainforest growing on rooftops and up its walls.